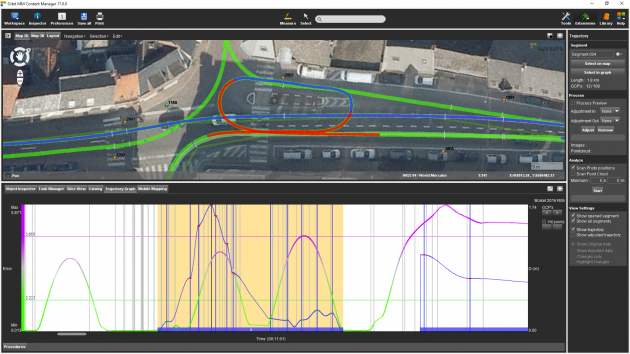 Import and organize all available 3D data at your office, a fundamental step before any tagging, feature extraction, map production, or sharing of data. 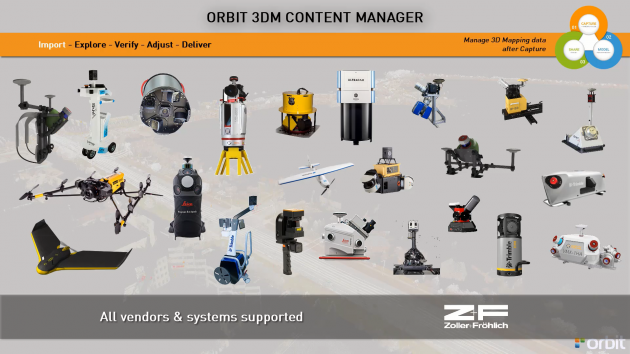 Based on Orbit ‘s impressive mapping engine, the 3DM Content Manager offers all tools to overview, archive, merge, clean, correct and catalog the collected 3D mapping data for Indoor, Oblique, UAS, and Mobile Mapping jobs. 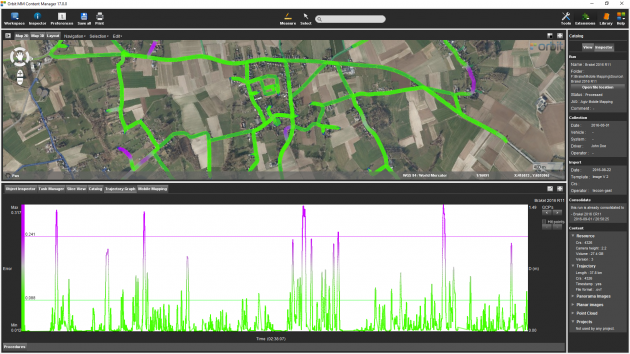 Before sharing 3D data collected for Indoor, Mobile, or Aerial mapping projects, it is required to optimize the data for performance, use, and further storage. 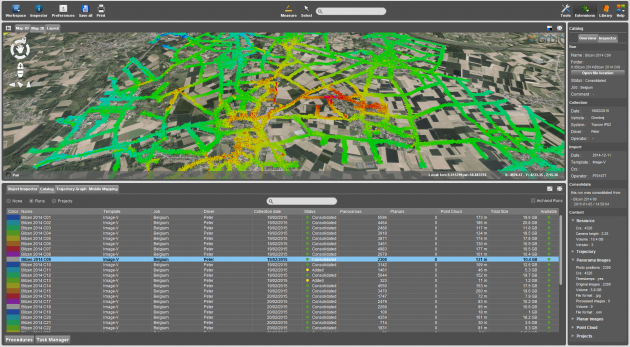 Archiving all available data at company or project level. 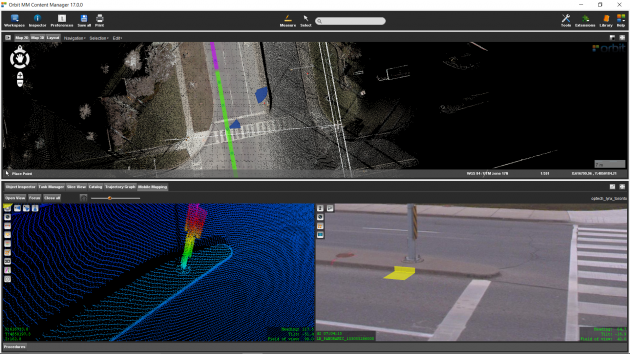 Cleaning lidar point cloud data, removing ghosts, optimizing image quality, analyzing and reporting positional accuracy are just some of the essential steps in 3D Data Management. 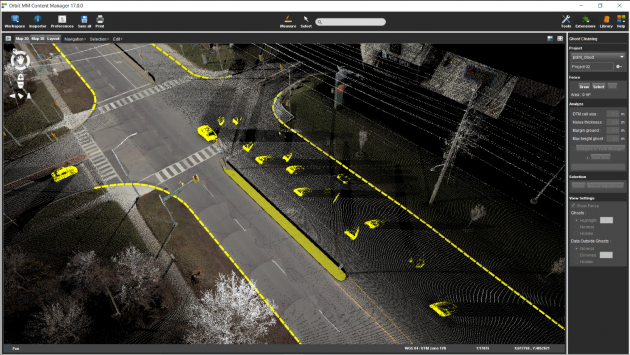 Orbit’s 3D Mapping software supports all known mobile, uas, oblique and terrestrial mapping hardware systems, translating different device setups and specifications into a single user friendly environment. 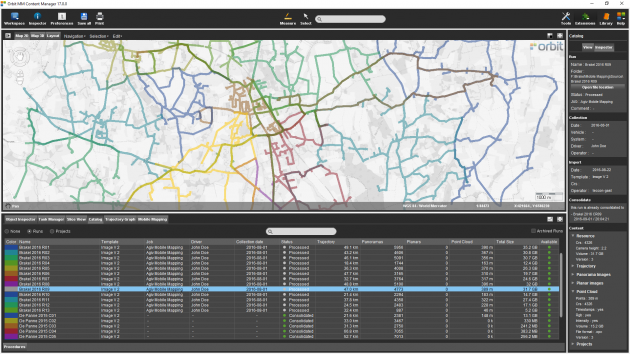 With templates tuned to each vehicle setup, Orbit’s products make import very simple. 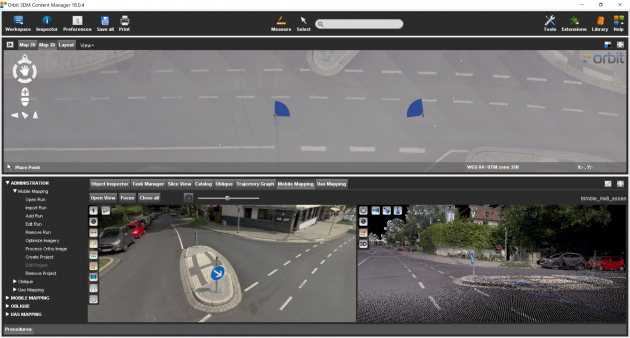 Upload the consolidated Mobile Mapping project directly to 3dmapping.cloud, the Orbit GT SaaS and cloud based online platform, or deliver to the 3DM Publisher, the on-premise solution to share point clouds and imagery online.